Microsoft yesterday rolled out the next update to its Windows 10 Technical Preview, just three weeks after the previous version arrived. But one change that Microsoft trumpeted -- an alteration to how OneDrive, the company's cloud-based storage service, synchronizes files -- got a big thumbs down from users. The update, tagged "Build 9879," followed the Oct. 21 release of Build 9860, which came 20 days after the initial Technical Preview. So far, Microsoft's cadence for Windows 10 has been faster than what analysts anticipate will be the practice when the new operating system publicly launches in mid-2015. Then, updates will ship as often as monthly for consumers, while businesses will be able to choose between that and two additional tempos that Gartner has tagged "near-consumer speed" and "long-term servicing." The former will roll up the "consumer-speed" updates every four to six months to versions that fast-acting enterprises will test and deploy, while the latter will remain feature- and UI-static for as long as two to three years, receiving only security updates. In the technical preview, customers have an update frequency choice of only "Fast" or "Slow," with the former representing the final's consumer speed while the latter will probably have no corresponding cadence. "If you're in the Slow ring, you won't receive the build right away -- we'll publish to Slow after we see how everything goes with the Fast ring," said Gabe Aul, the engineering general manager for Microsoft's operating system group, in a blog post yesterday. Microsoft is using the Technical Preview to not only show customers what Windows 10 will include, but also to test the faster release pace. Build 9879, however, is a full, in-place upgrade, and not one of the smaller updates that next year will include only changes since the last version. Aul touted several changes to Windows 10 in the latest build, including one that users bashed as a step backwards. "We're also introducing changes to how OneDrive syncs your files in this build," Aul wrote. "In Windows 8.1, we use placeholders on your PC to represent files you have stored in OneDrive. People had to learn the difference between what files were 'available online' (placeholders) versus what was 'available offline' and physically on your PC." In other words, OneDrive on Windows 8.1 did not automatically place actual copies of all files in the cloud storage service on a device, but instead showed placeholder icons, what Microsoft calls "smart files," that included a thumbnail image of the file -- useful when searching through photographs -- and searchable metadata. When clicked, the placeholder/smart file kicked off a file download to the local device. That was counter to, say, Dropbox's method of everything-is- available-locally-on-every-device, but also saved local storage space and the bandwidth necessary to download and synchronize large OneDrive collections. With Windows 10, OneDrive will use what Aul called "selective sync" in that users choose which files are synched with actual downloads. Other files remain on OneDrive, but do not show up in File Explorer, Windows 10's file management tool. To see everything in OneDrive, users must instead open a browser and comb through OneCloud's online interface. In comments appended to Aul's blog, on a short thread on Microsoft's support discussion forum, and also in a much larger collection of complaints on Microsoft's Windows Feature Suggestion Box, customers gave Aul a piece of their minds. In nearly 60 comments linked to the feature request, "Add an advanced option to restore showing ALL OneDrive files in Explorer, synced or not," Windows 10 Technical Preview users lambasted the OneDrive change. "Stupid to remove a perfectly working and very useful feature," said Asbjarn today. "And how does this square with the recently announced unlimited storage for OneDrive? Or perhaps that is the real reason. Theoretically unlimited storage, but in practice limited by the storage capacity of your smallest device." "The change to OneDrive is unbelievably stupid in this release," echoed one of several anonymous commenters. "I was about to get a subscription for Office 365 Home Premium just for the OneDrive space -- but if this will be the way it works in the future it offers me zero advantage over Dropbox or Google Drive," added Kyriakos Ktorides. "OneDrive has reverted back to how it was in Windows 7, big step backwards," complained Øystein Johnsen. "Unusable now." "Yeah, you guys screwed the pooch on this change," said Nate Laff. "I get what you were trying to do..., but I just uploaded my entire family photo collection to OneDrive in the last week (200+ GB). Obviously it's impossible to sync that entire folder down to each device." 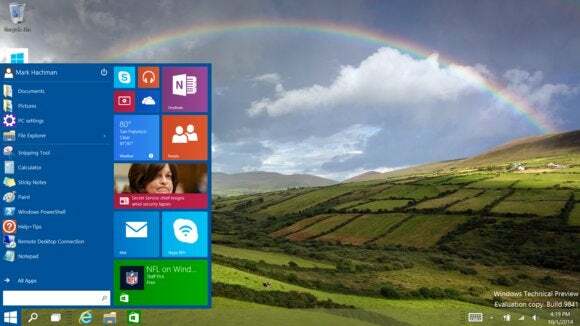 Mary Branscombe, a freelance writer who has blogged for ZDNet and written for CITEworld -- the latter, like Computerworld, is operated by IDG -- was the one who kicked off the request to restore the Windows 8.1 smart files functionality in Windows 10. Branscombe reached out via Twitter to Omar Shahine, the partner group program manager for OneDrive, to ask if Microsoft would reconsider. "It was a tough change to make," Shahine replied on Twitter. "It is certainly the future but there were significant issues with the model that required change." In a tweet a little later, Shahine said, "Yes. It's a huge change. Not denying it. Yes it is worse in some ways. But it was necessary." Late Wednesday, Shahine added that Microsoft would be posting a response to the outcry on the feedback thread. As of mid-day today, the promised reply or explanation had not appeared. Shahine did not immediately reply to a request for more information on Microsoft's position regarding the OneDrive changes in Windows 10. This story, "Microsoft updates Windows 10, gets an earful from users about OneDrive changes" was originally published by Computerworld.